A-Scale: A filter system with characteristics that roughly match the response characteristics of the human ear at low sound levels (generally below <55 dB but often used to gauge levels to 85 dB). Absorption: The process of drawing fluid or gas into a porous material, such as a sponge soaking up water. Adsorption: Refers to the surface retention or adhesion of a very thin layer of water molecules to the surfaces of a material (such as insulation fibers) with which they are in contact. Also see Sorption. Apparent Thermal Conductivity: A value assigned to a material that exhibits thermal transmission by several modes of heat transfer resulting in property variation with specimen thickness or surface emittance. ASJ (All-Service Jacket): A vapor retarder laminate of reinforced bleached white kraft/foil construction. Baffles: Device to maintain a ventilation space between the insulation and roof deck, assuring air flow from the eave/soffit vents to ridge vent or other roof vents provided in attics and cathedral ceilings. Bottom Plate (Sole Plate): The lowest horizontal member of a wall which rests on the sub-floor, to which the studding is nailed. British Thermal Unit (Btu): The heat required to raise the temperature of a pound of water 1°F. Cavity: The empty space between studs or joists typically filled with insulation. Celsius (formerly Centigrade): A thermometric scale in which the freezing point of water is 0°C and its boiling point 100°C at normal sea level atmospheric pressure (14.7 psi). °C = (°F-32)/1.8. Collar Beam: A horizontal board connecting two opposite rafters at a level considerably above the wall plate. Also known as collar tie. Condensation: Changing a substance from a vapor to a liquid state by removing the heat. The condensate shows up on surfaces as a film or drops of water. Conductance, Thermal (C): The time rate of steady state heat flow through a unit area of a material or construction induced by a unit temperature difference between the body surfaces. Conductivity, Thermal: The time rate of steady state heat flow through a unit area of homogeneous material induced by a unit temperature gradient perpendicular to that unit area. Cooling Degree Day (hour): A unit, based on temperature difference and time, used in estimating fuel consumption and specifying nominal cooling load of a building in summer. Crawlspace Vents: An opening to allow the passage of air through the unfinished area under a first floor. Ideally there should be at least two vents per crawlspace. Cross Bridging: Small wood pieces placed at angles so that they extend from the bottom of one floor joist to the top of the adjacent joist to add stability to the structural members. Density: The mass of a substance per unit of volume of that substance. Eave Vents: Vent openings located in the soffit under the eaves of a house to allow the passage of air through the attic and out the roof vents. Economic Thickness (of insulation): That thickness which provides the lowest possible annual cost of energy, insulation and energy producing equipment. Emittance: The ratio of the radiant flux emitted by an ideal, perfect emitter and absorber of thermal radiation at the same temperature and under the same conditions. Equivalent Thickness (of insulation): When r1 = the inner radius of a single layer of cylindrical insulation and r2 = the outer radius, equivalent thickness = r2 1n r2/r1. Face Staple: Stapling facing flange to the front side of a stud or rafter, along the 1½” dimension. Faced Insulation: Insulation with a facing already attached. Kraft paper or foil-backed paper are common facings. Fahrenheit: A thermometric scale in which 32°F denotes freezing and 212°F the boiling point of water under normal sea level atmospheric pressure of 14.7 psi. °F = 1.8°C + 32. Fiber Glass Insulation: An energy-efficient glass fiber product to ensure the best thermal and noise control performance available. Foil-Faced Vapor Retarder: Created by coating a foil-backed paper with a thin layer of adhesive, then attaching it to the fiber glass. Frequency (Hz): The number of cycles per second measured in units of Hertz. FRK: A vapor retarder laminate of foil/ scrim (reinforcement) kraft construction. Also known as FSK. Furring Strips: Flat pieces of lumber used to build out framing to an even surface, either the leveling of a part of a wall or ceiling. In block or concrete construction, they may be used as a means of attaching the interior or exterior finish. Gable End Walls: The triangular end of an exterior wall above the eaves. Gable Vents: A louver vent mounted in the top of the gable to allow the passage of air through the attic. Glass Fibers: Glass in a strand form. The ingredients are essentially the same that go into any glass product such as a window pane or drinking glass. Heat Flow: The rate at which heat moves from an area of higher temperature to an area of lower temperature. Btu/hr (W/hr). Heat flow is generally used to quantify the rate of total heat gain or heat loss of a system. I.C. or Insulated Ceiling: Marking on recessed lighting fixtures indicating that they are designed for direct insulation contact. Inch of Water (in. w.g. ): A unit of pressure equal to the pressure exerted by a column of water 1 inch (25mm) high at a temperature of 39.2°F (4°C). Inset Staple: Stapling to the inside portion of the stud or rafter. Insulation Density: Denser insulation products have more fibers per square inch and, therefore, give you greater insulating power through higher R-values. Insulation Supports: 16″ or 24″ wire rods, nylon banding, or crisscrossed wire to hold floor insulation in place. Joist: Horizontal framing member set from wall to wall to support the floor or ceiling. Knee Walls: Walls of varying length. 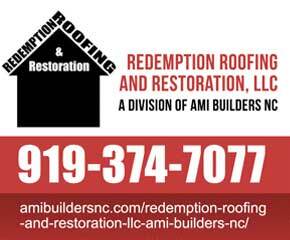 Used to provide additional support to roof rafters with a wide span or to finish off an attic. Kraft-Faced Vapor Retarder: Created by coating kraft paper with a thin layer of asphalt adhesive. The coated side of the kraft paper is then applied to the unfaced insulation material. The asphalt adhesive bonds the kraft paper and the insulation together. Mean Temperature: The arithmetic mean between hot and cold surface temperatures of an insulated pipe, duct or vessel. tm = (t1 + t2)/2. Metal Flue: A metal channel through which hot air, gas, steam or smoke may pass. NPS: Nominal Pipe Size, inches. Metric equivalent of DN (Diameter, Nominal, millimeters). Noncombustible: The material will not burn. The glass fibers in PINK® fiber glass insulation have a natural fire resistance, and are considered non-combustible when tested in accordance to ASTM E136. Noise Reduction Coefficient (NRC): A single number rating, the arithmetic average of the individual sound absorption coefficients of a material at 250, 500, 1000 and 2000 Hz to the nearest .05. Octave Band: A range of frequency where the highest frequency of the band is double the lowest frequency of the band. The band is usually specified by the center frequency. Perm: The mass rate of water vapor flow through one square foot of a material or construction of one grain per hour induced by a vapor pressure gradient between two surfaces of one inch of mercury or in units that equal that flow rate. Rafters: A slope framing member that supports a pitched roof. Relative Humidity: A measure of the amount of moisture in the air with respect to the temperature. It is the ratio of the moisture present to the maximum amount of moisture the air can hold at that temperature. Resilient Channels: Metal channels used to further inhibit sound transmission through wall and ceiling framing. Create a break in the vibration path from drywall to the framing. Ridge Vents: A vent mounted along the entire ridge line of the roof to allow the passage of air through the attic or cathedral ceiling. Roof Vents: A louver or small dome mounted near the ridge of the roof to allow the passage of air through the attic. R-Value: Measure of resistance to heat flow. Insulation materials have tiny pockets of trapped air. These pockets resist the transfer of heat through material. The ability of insulation to slow the transfer of heat is measured in R-values. The higher the R-value, the better the insulation material’s ability to resist the flow of heat through it. SSL: Self-sealing lap, a feature of pipe insulation covering in which an adhesive strip provides mechanical and vapor retarder closure of the longitudinal seam. See also SSL II. SSL II: Pipe insulation jacket closure with a double adhesive, self-sealing lap to close the longitudinal seam. Sorption: Refers to the taking up and holding of water by various processes such as absorption and adsorption. Sound Absorption: The process of dissipating or removing sound energy; the property possessed by materials, objects and structures (such as rooms) of absorbing sound energy; the measure of the magnitude of the absorptive property of a material, object or structure. Sound Absorption Coefficient: The percentage of sound energy incident on the surface of a material that is absorbed by the material. Stapling Flange: A protruding edge on faced insulation used to staple the insulation to the framing. Static Pressure: The normal force per unit area at a small hole in the wall of a duct through which a fluid is flowing. Stud: A vertical framing member used in both exterior and interior walls. Subfloor: The structural material that spans across floor joists. It serves as a working platform during construction and provides a base for the finish floor. Unfaced Insulation: Insulation with no attached facing. Vapor Retarder: Helps control the amount of moisture passing through the insulation and collecting inside exterior walls, ceilings and floors. Ventilation: Creates a positive flow of air that allows the house to “breathe” and helps prevent moisture build-up year-round. Wall Plates: In wood-frame construction, the wall is composed of both vertical and horizontal wood members. The vertical members are usually called studs, while the horizontal members are usually called plates. A bottom plate is at the bottom of the wall frame assembly, while two plates are usually used at the top (double top plate). Warm-In-Winter Side: In heating climates, it is the interior side of an exterior wall assembly. Water Vapor Permeance: Time rate of water vapor transmission through unit area of flat material or construction, induced by vapor pressure difference between two specific surfaces, under specified temperature and humidity conditions. Water Vapor Retarder: A material or system that adequately impedes the transmission of water vapor under specified conditions.